Bell has absolutely knocked it out of the park when they released the Bullitt helmet. 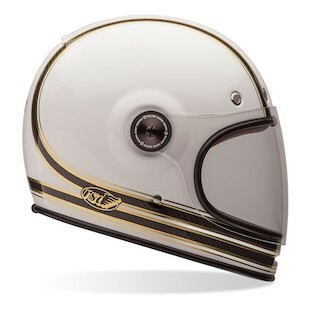 No one else right now is making a retro-inspired helmet that is this technical with a composite shell construction. The Bullitt has been a staple in the Bell line up all year, and now, for Fall 2015, Bell has released a few new graphics to keep things fresh. 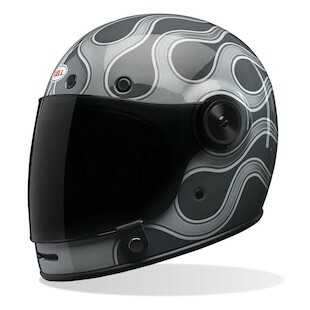 First up is the Bell Bullitt Carbon RSD Mojo Helmet, which is a welcome graphic addition to the Bullitt Carbon lineup. From a technical perspective, the Bullitt Carbon is made of - you guessed it - carbon fiber, instead of the traditional Bell Tri-Matrix fiberglass composite weave. The RSD Mojo graphic makes the most of this by letting a small sliver of the raw carbon material to peek out through the White and Gold colorway. 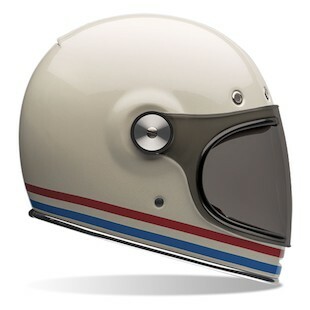 The second new graphic is the Bell Bullitt Stripes Helmet, and this one is for the Scrambler rider trying to channel their inner Steve McQueen. The classic White base coat with Red White and Blue stripes along the base is super conservative, and will work on a large variety of modern classic and vintage bikes. Like the rest of the Bullitt lineup, the Stripes helmet has interchangeable cheek pads across the full size range, so you can fine tune the fit to your head. Last but not least, we have the Bell Bullitt Chemical Candy Helmet, also built on the Tri-Matrix fiberglass composite shell. This one is for all the custom bike riders and paint connoisseurs. This graphic is an official collaboration with Chemical Candy Customs, which is an independent, one man paint shop out of Texas. If you know who they are, you know how detailed and professional their paint jobs are. If you don’t, check out what they can do on a bike; you’ll be amazed. There is nothing better than having the flames on your bike match the flames on your helmet. As with all the Bullitt helmets, these three graphics also use three helmet shells and three EPS liners, so fit is not an issue. Unlike some other retro helmets out there, you don’t have to worry about that bobblehead look here. With three new graphics available to catch your attention, now might be the perfect time to tie together that retro-inspired look!